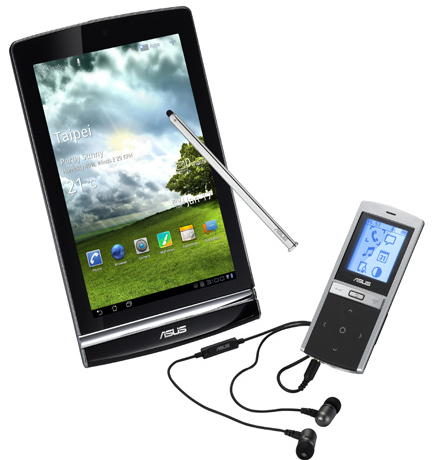 Back at CES, ASUS announced a pair of MeMO tablets: the 171 and 370T. The latter caused quite a stir, as it packs NVIDIA's powerhouse Tegra 3 superchip under the hood, along with a 7-inch 1280x800 display, all for under $250. The former, however, is a different beast altogether, as it sports an interesting array of included accessories. Notice the last thing on that list? That's what makes the MeMO 171 unique. It offers a small handset-style Bluetooth addon that brings call and SMS functionality to the tablet. The MeMIC doesn't stop there, though, you can also use it to listen to music, check your calendar, and more. While we're still not certain when this tablet is expected to his the market, we do know that it is slated for a Q2 release and it will not be available in North America (presumably because the 370T will be released in NA). 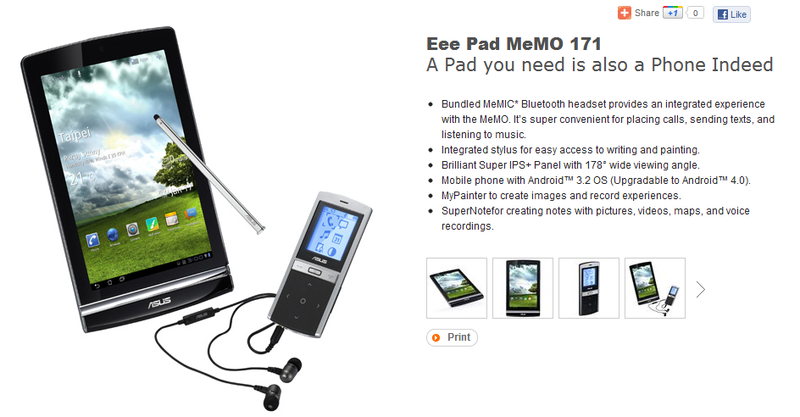 Update: The MeMO 171 is slated for a release in Asia on March 5th, and it will cost $600 USD.